The World of Concrete is an annual show in Las Vegas. On display are, among thousands of other things, trucks that haul and pump the gray slurry composed of cement, sand, and aggregates. 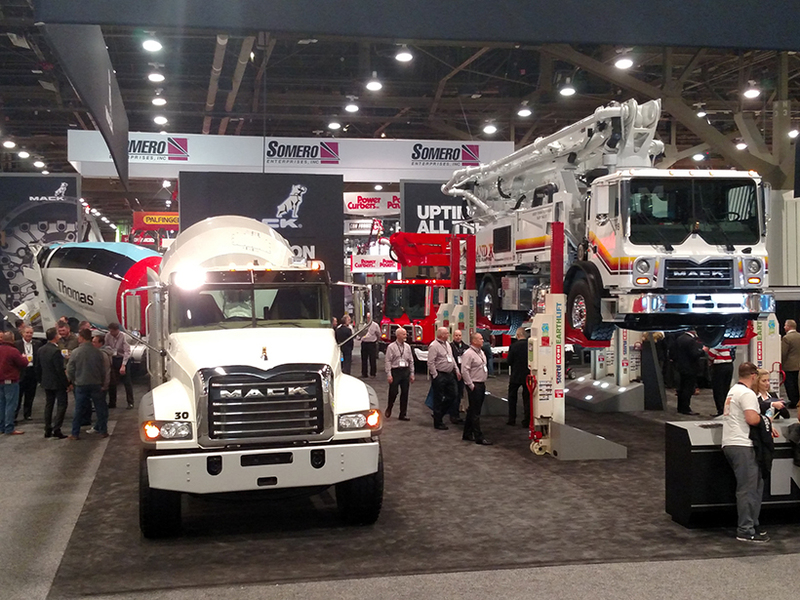 Mack Trucks' booth had plenty of such vehicles.